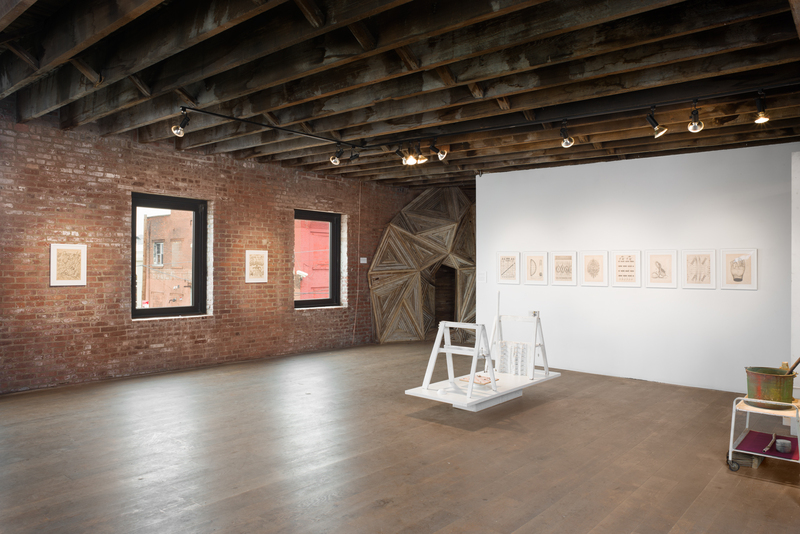 Eric Timothy Carlson worked out of a studio at 2 Apollo Street, in Greenpoint, Brooklyn, for three years. 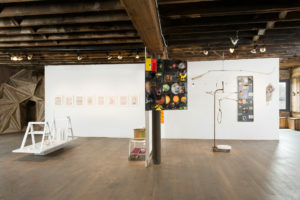 This studio inevitably worked its way into his process—subconsciously dictating objects and materials, while architecturally determining scale and constraint. 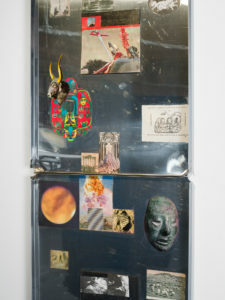 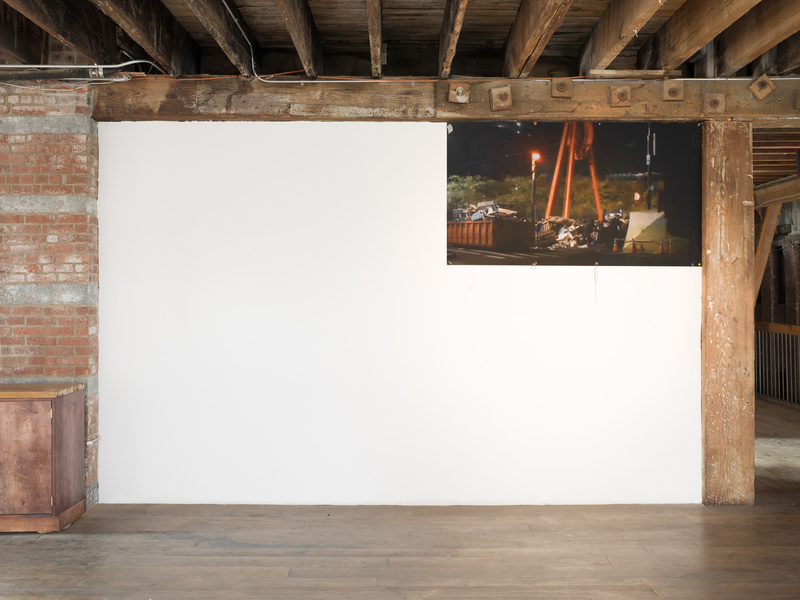 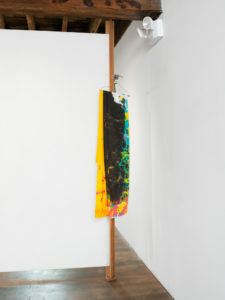 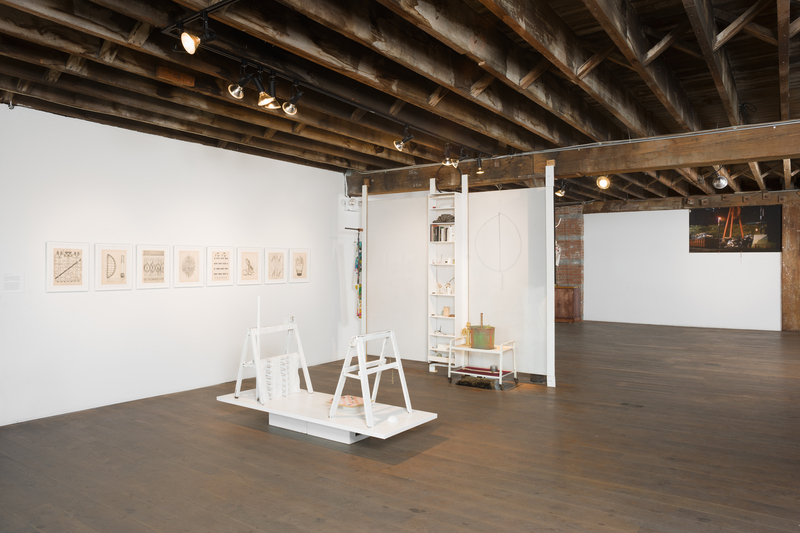 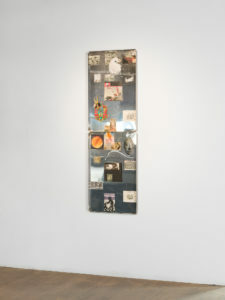 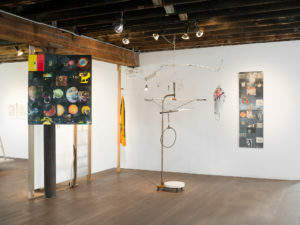 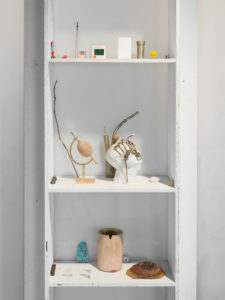 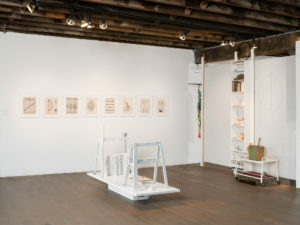 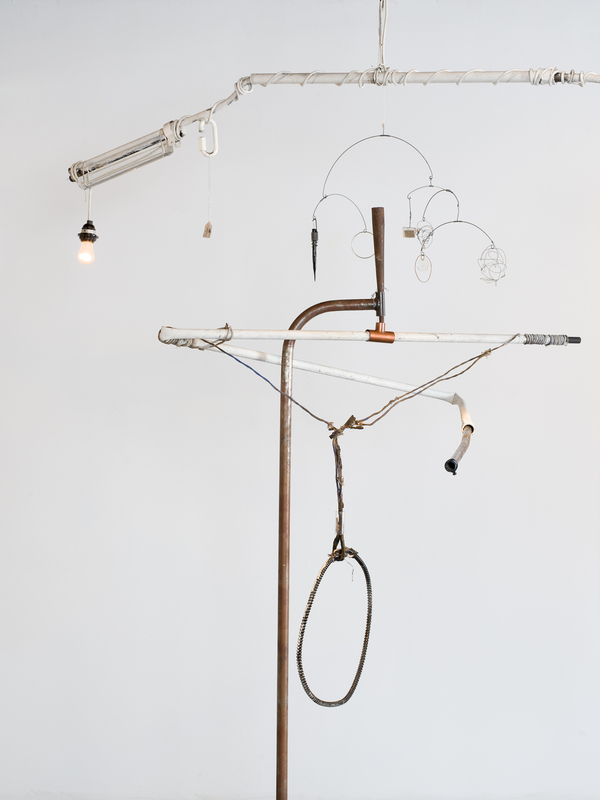 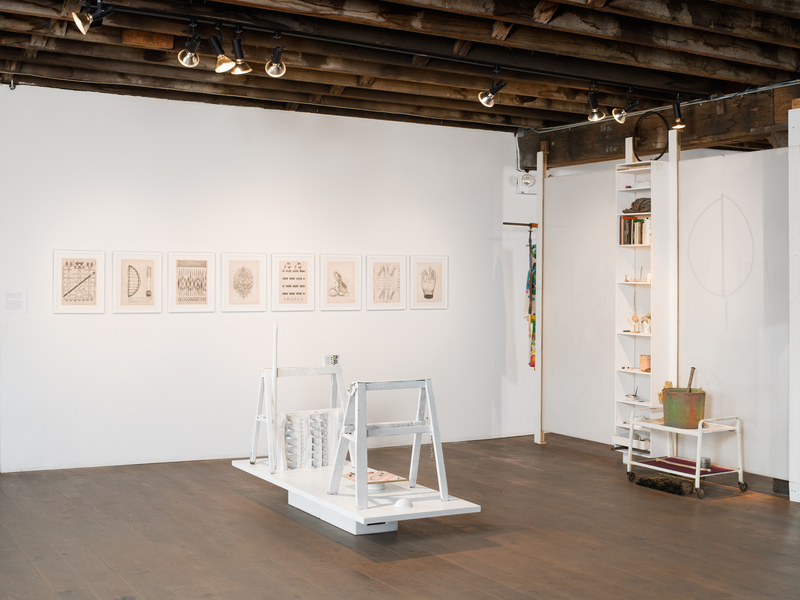 Carlson thinks of his studio space as a sort of domestic apparatus that acts as a container and catalyst for his art-making. 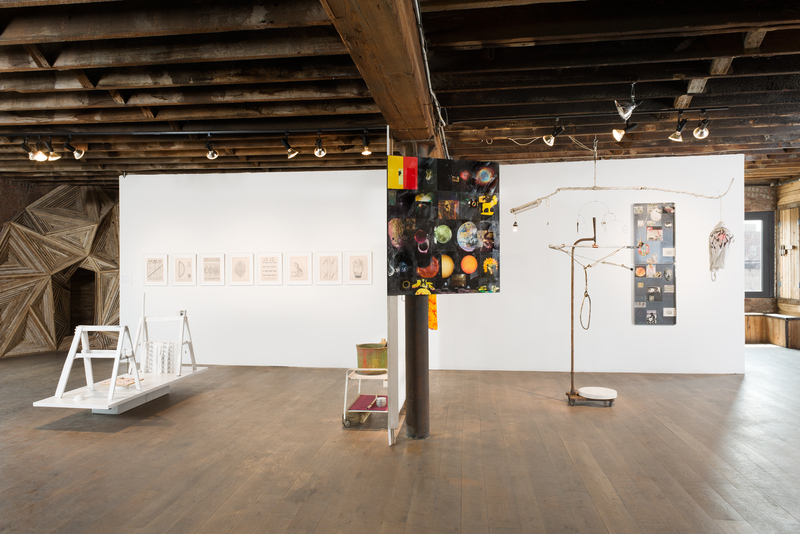 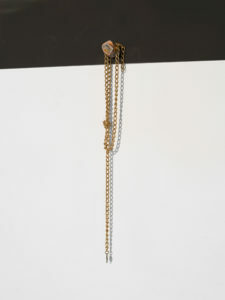 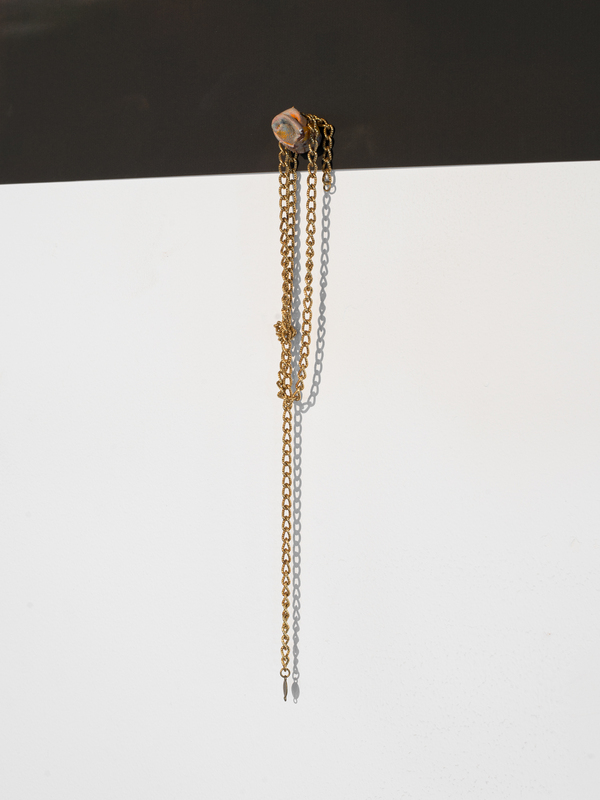 On view in 2 Apollo is an assemblage of the most symbolic nodes of his studio, in which he also slept, read, and ate. This installation contains his desk, marble slabs, and his bookshelves, as well as an accumulation of trinkets picked up along the way: a rusty sickle, an old bucket, and an opium pipe from Hong Kong. 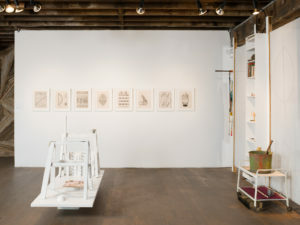 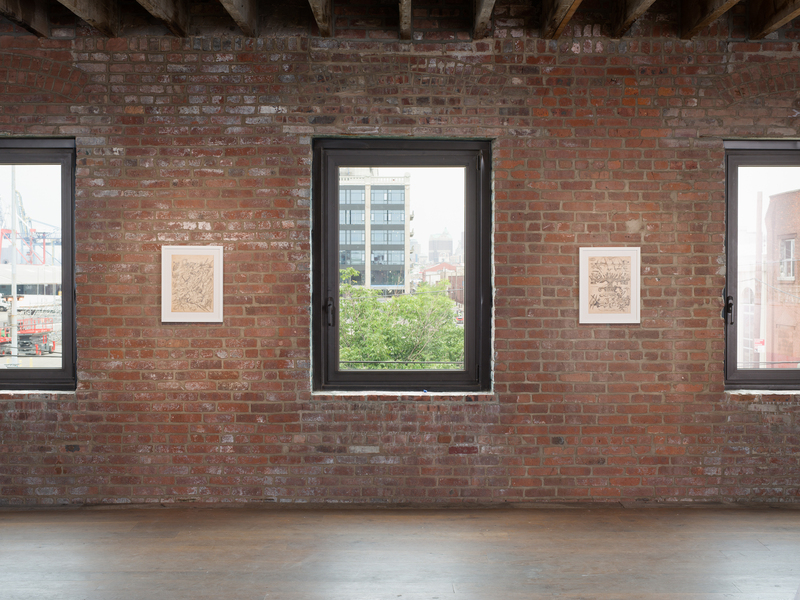 Framed, finished drawings are hung throughout, as is a mobile made from conduit found in the basement. 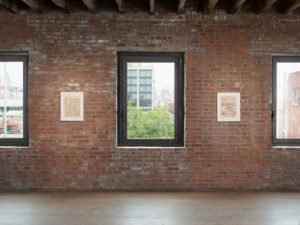 A digital print of Zuccotti Park hangs in the corner. It is a screenshot of a live stream of the dismantling of Occupy Wall Street. 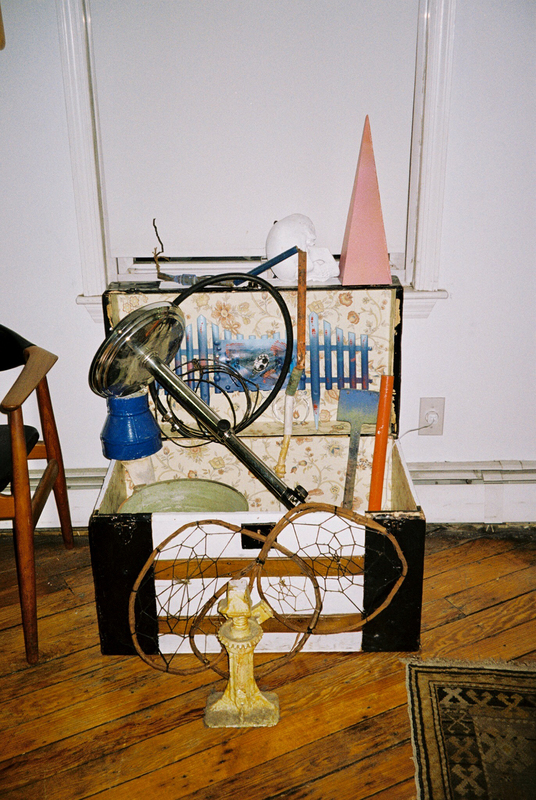 He watched this happen just a few months after moving to New York in 2011.